This was all very puzzling, especially as he was getting more feed than ever before. And he was being stabled at night, whereas previously he had slept out. After getting two different vets to look at him, trying different feeds, resting him, working him, and everything inbetween, I came to the conclusion that he was suffering from some undiagnosable ailment. And that I should retire him and look for a new horse. It was while I was trying a new horse out, that my good friend Tracey pointed out a rather obvious fact. Bear started losing weight at about the same time that my stables were completed and I moved the horses in at night. This was entirely true. I went home and left Bear out in the paddock every night since then. The improvement in that horse was almost instantaneous and completely dramatic. He started filling out – not only on his stomach, but on his bum, between his legs, on his neck. In three weeks he was recognisable as my beautiful, big, stocky boy again. This is my (retrospective) theory regarding ulcers in horses. When I got Bear off the track as a 3 year old, he probably had an ulcer. Most racehorses do. Living out is ideal for these horses – freedom to eat good quality grass 24 hours a day while walking around – this is how horses were designed to eat. So, living out, his ulcer never manifested as a problem and remained undiagnosed. And although he lived out, he was a big, strong horse in beautiful condition with a liquid gold coat. 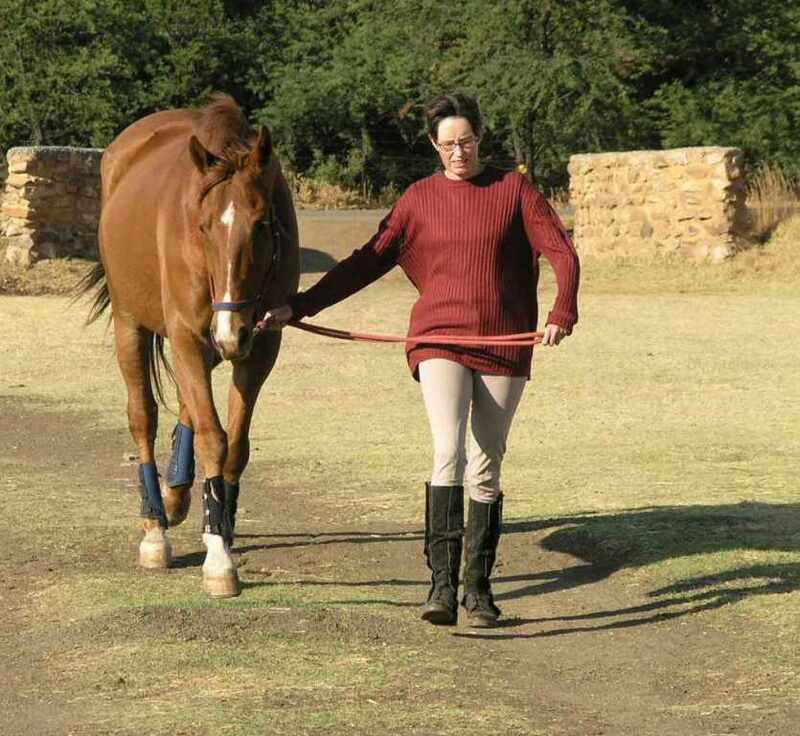 When I had decided that my poor little horses were too cold outside and needed to be cocooned in stables at night, the ulcer started to wreak havoc with his condition. Stabled, he was suffering from pain that he had never felt before. My response (stupidly, in retrospect) was to increase his feed. Which exacerbated the problem. Today, he sleeps outside every night. In cold weather he has a double or even triple blanket. If its really cold and rainy I bring him in for a short while. He is on Digestion mix. I have decreased his feed and increased the number of times he is fed. He is in the prime of his life and looks it. 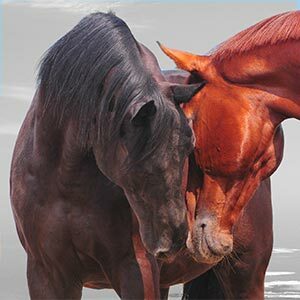 I am hoping that my experience might help other horse owners. Please feel free to contact me if you have a horse who is looking less than his best. Hopefully I can help.